Manchester United have finally got their man after a protracted swap deal negotiations involving Alexis Sanchez and Henrikh Mkhitaryan. Alexis Sanchez was widely expected to sign for Manchester City, who missed the chance to sign the Chilean in the summer by a whisker, although City returned for Sanchez with a £20M bid, however, cross-town rival came in with all guns blazing to grab Sanchez under the noses of City with an Eye-Watering weekly wages estimated to be £500k per week, and initially matched Arsenal £35m valuation but later slipped in player instead of cash. 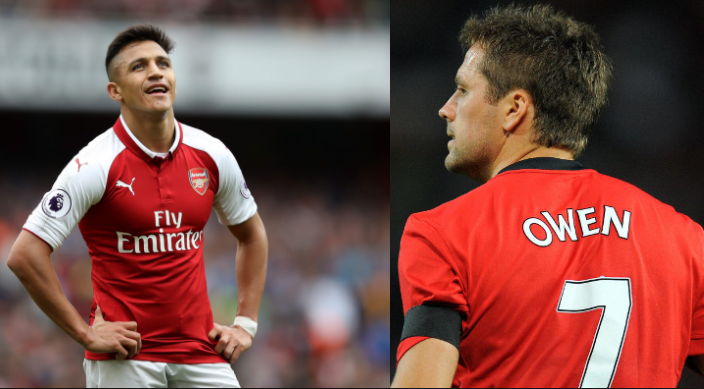 As at today 21st January, Alexis Sanchez and Henrikh Mkhitaryan are both having medical at Manchester and London respectively, but former Liverpool, Real Madrid, Manchester United, Newcastle, and England international, Michael Owen, thinks Alexis Sanchez is making a big and a wrong call over his choice of United over City. “There is clearly one major reason why Alexis Sanchez is choosing Manchester United over Manchester City, naturally, as a footballer, he wants to maximise his earnings but as an attacking player, I’m still surprised he would opt for Jose Mourinho over Pep Guardiola”. We think the weekly wage of Sanchez is actually in the region of £500k, as the after-tax is quoted as £270k per week.